A study of the massive crater that formed when an asteroid crashed into Earth 66 million years ago, wiping out all nonavian dinosaurs and most life on the planet, is giving insights into how impacts can help shape planets and possibly even provide habitat for the origins of life. 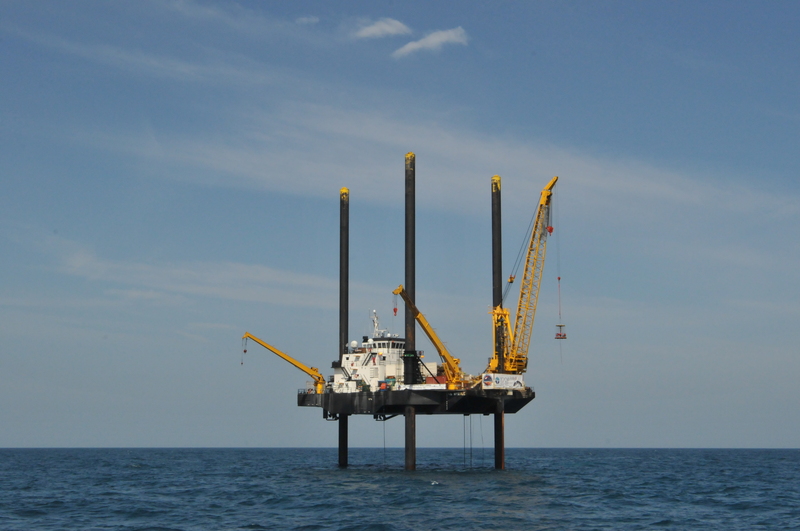 The study, published in the journal Science on Nov. 17, represents the first findings from the expedition that drilled into the peak ring of the Chicxulub crater in the Gulf of Mexico in April and May. The international team was led by researchers from The University of Texas at Austin and Imperial College London. The findings validate the theory that violent asteroid impacts cause a planet’s surface to behave like a fluid, said study author Sean Gulick, a research professor at the University of Texas Institute for Geophysics, a unit of the Jackson School of Geosciences. The research puts a definitive end to an alternative explanation that suggested that such impacts, which are common on other planets and moons, deform the surface by melting most of the rock around the impact. The findings are important for our understanding of this and other planets, Gulick said, because researchers found that the peak ring – the mountain or hills around the impact – consists of rock that comes from deep in the crust. 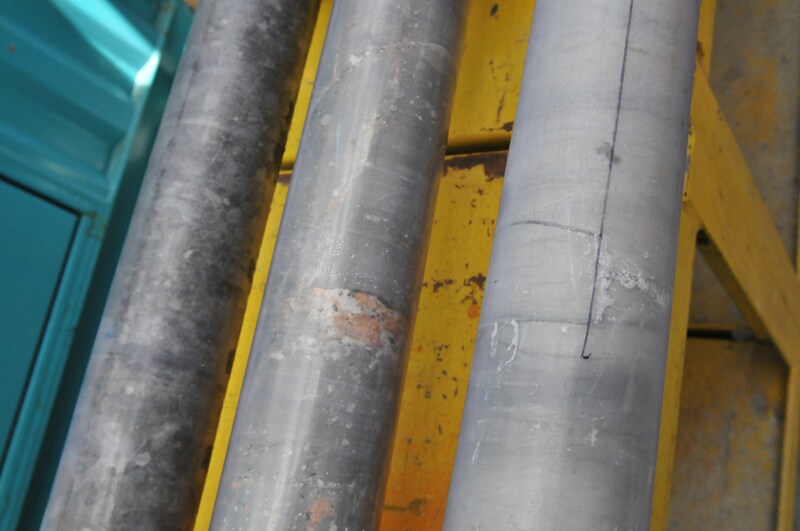 The team took core samples of the peak ring, which is now covered by water and the limestone of the modern gulf floor. They found that the asteroid, which hit with the force of 100 million atomic bombs, quickly opened a massive hole nearly 19 miles deep and 120 miles wide. Gulick said he knew they had solved the mystery of how large impacts affect the surface when the cores revealed an unmistakable pink granite, which is found deeper in the Earth, as opposed to the limestone that was present at the time of the impact. 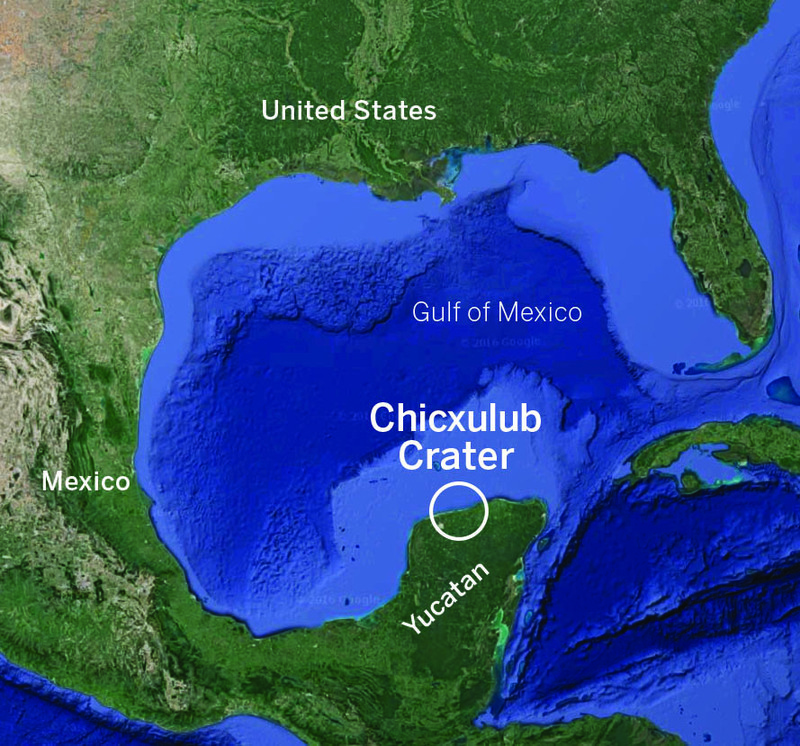 Researchers found that the roughly 10-mile-wide Chicxulub asteroid, which hit in the Gulf of Mexico near the Yucatán Peninsula, pushed rock up from 6 miles below the surface to form the peak ring. Those rocks travelled approximately 20 miles in a few minutes, first being pushed outward from the impact, then rebounding upward above the Earth’s surface and finally collapsing outward to form a ring of peaks around the center of the impact. The team also found that impacts appear to fundamentally lower the density and increase the porosity of rock. The granites found in the Chicxulub peak ring contained about 10 percent pore space, much greater than the 1 or 2 percent that scientists would expect, Gulick said. This finding could help explain why NASA’s recent GRAIL mission showed the moon’s crust — which has been impacted multiple times — has an unusually high porosity. These highly porous rocks may also provide a habitat for chemosynthetic life in the wake of impacts, researchers said, by providing places where simple organisms can take hold. There could also be nutrients available within the pores from circulating water that would have been heated by the impact event. Early Earth was constantly bombarded by asteroids, and the team has inferred that this bombardment must have created rocks with similar physical properties, which may partly explain how life took hold on Earth. Future studies will examine this theory. 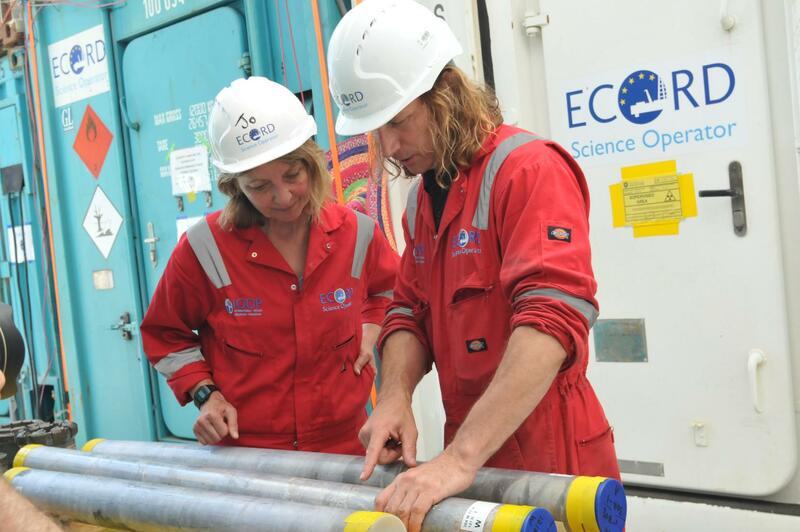 The expedition was conducted by the European Consortium for Ocean Research Drilling (ECORD) as part of the International Ocean Discovery Program (IODP) and was supported by the International Continental Scientific Drilling Program (ICDP). The Yucatán Government, Mexican federal government agencies and scientists from the National Autonomous University of Mexico (UNAM) and the Yucatan Center for Scientific Research (CICY) also supported the expedition.